“Come quietly, or there will be….trouble.” From a movie that is endlessly quotable, comes a stunning 1/6 scale figure that is equally memorable for all the right reasons. Fresh out of the box it is plain to see why Hot Toys and Sideshow Collectibles are the head honchos when it comes to making high end figures and statues. 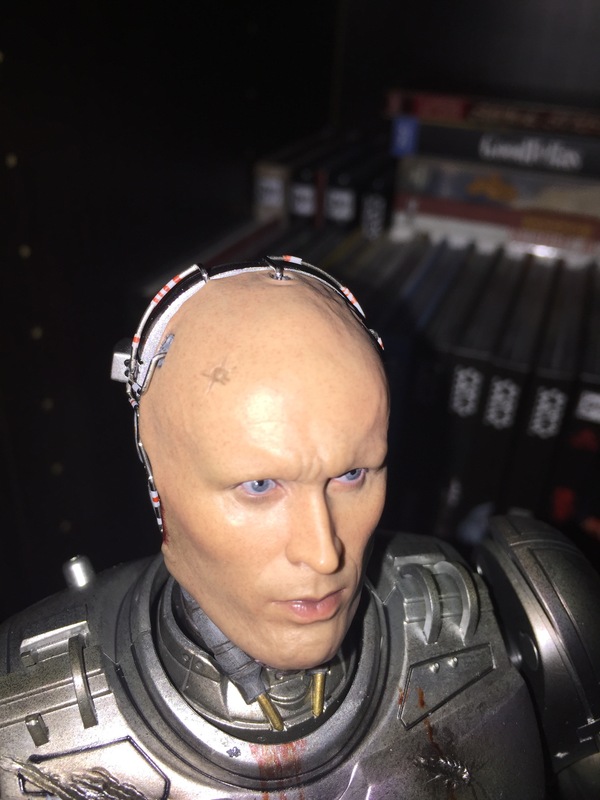 The detail is incredible, from the face sculpt which perfectly captures every nuance of Peter Weller’s likeness, to RoboCop’s battle scarred suit, it really is second to none. Every single blemish and burn that RoboCop suffers throughout the movie, is perfectly replicated on this figure. There were so many times that I was scanning the figure where my jaw literally dropped at the astounding level of detail that has been put into this release. 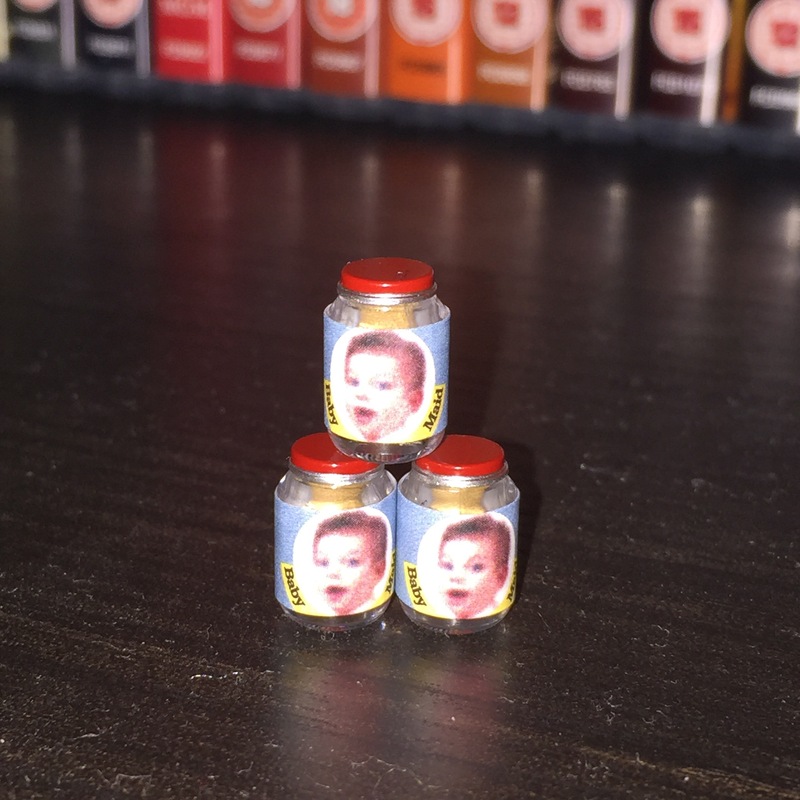 Firstly you get three jars of baby food, that if you remember, RoboCop uses for target practice near the end of the movie. The leg holster works a dream and can fit the handgun no problem. Though to be specific you get two handguns, one of which goes in the leg. 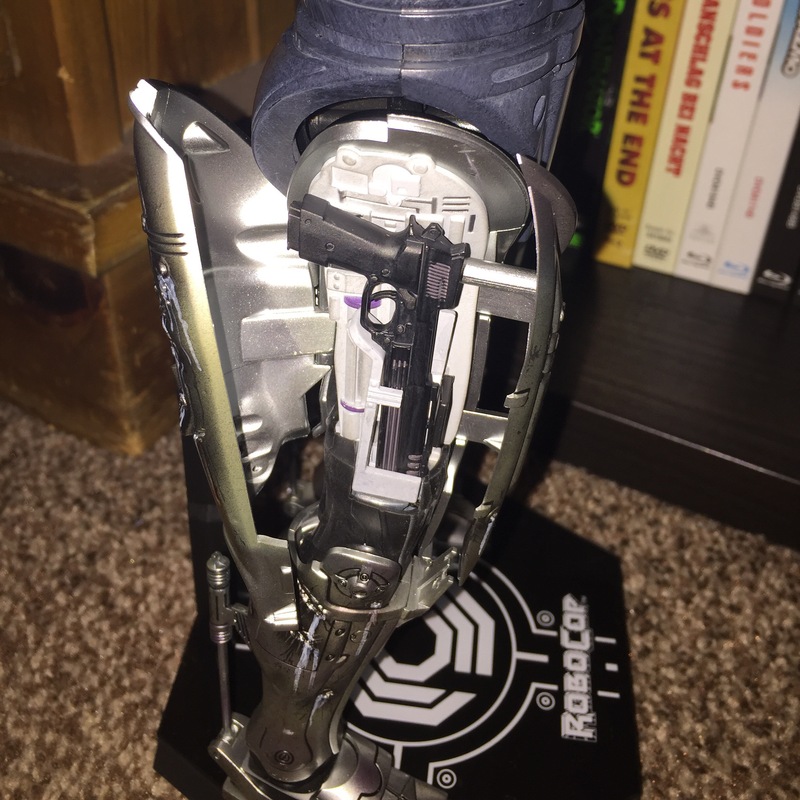 One is die cast and is too heavy to be held in RoboCop’s hand, so that goes in the leg holster. 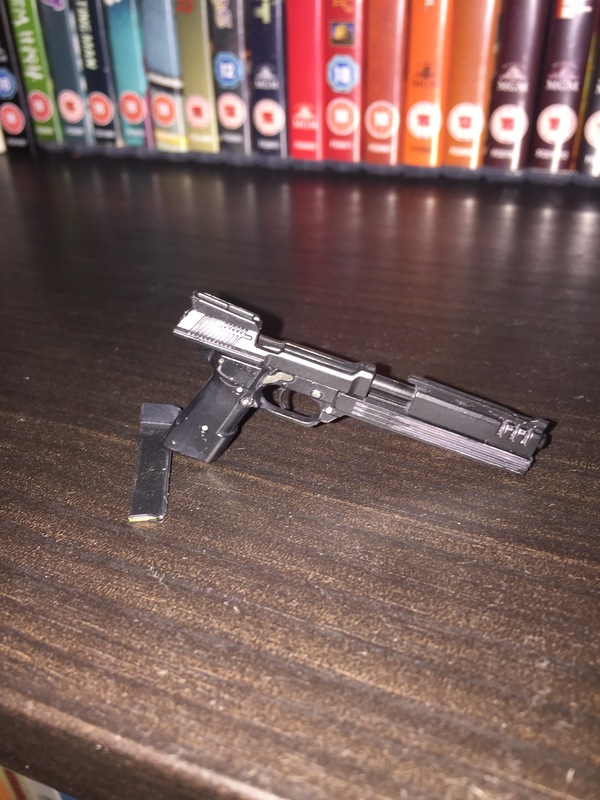 The other is light plastic, with a sliding barrel and removable clip that has tiny bullets in it. You also get the big rifle that RoboCop uses to dispatch ED-209 with at the end of the movie. 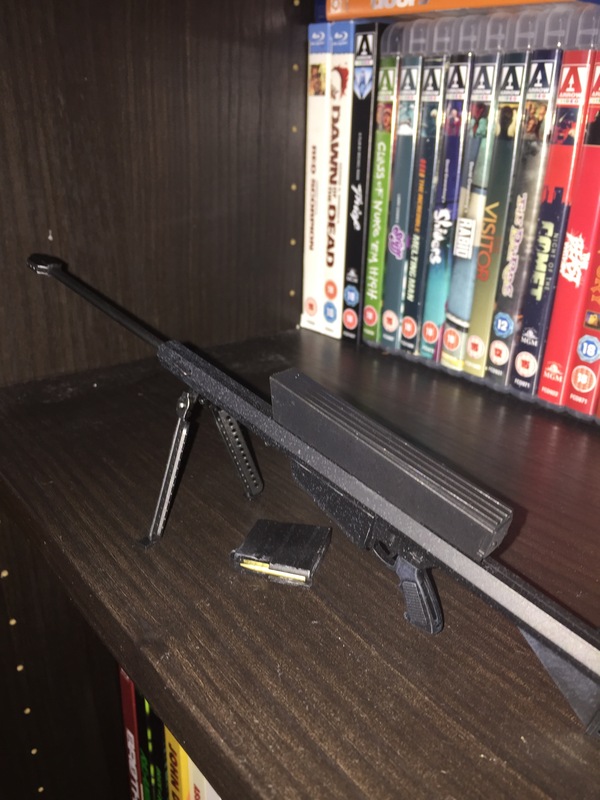 This also has a removable clip and a sliding bolt action at the side. There are interchangeable hands for RoboCop too. You have a closed fist for both the left and right hand. You also have open palms for each hand with moveable fingers which can be fixed round the gun. 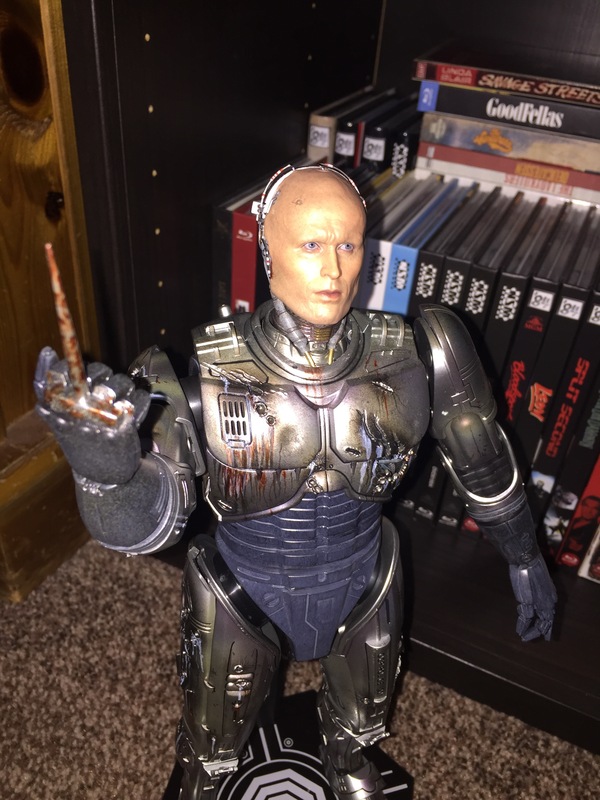 Also for the right hand is the metal spike that RoboCop uses for the computers and also which he uses to kill Clarence. It’s covered in blood which is a nice touch. The base is very sturdy and has a nice polished sheen to it. The box is also beatifully designed, which just shows that nothing is left out in Hot Toys’ strive for perfection. This really is a work of art. Like I said everything is done to perfection and the detail is just astounding. 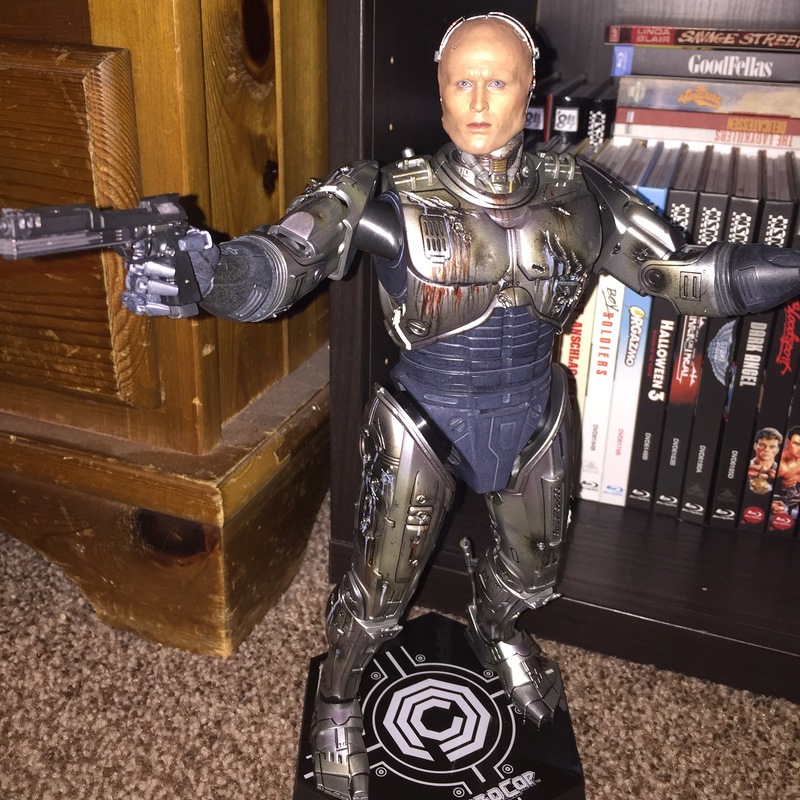 This RoboCop figure was generously provided for review by the kind folks at http://www.sideshowtoy.com. 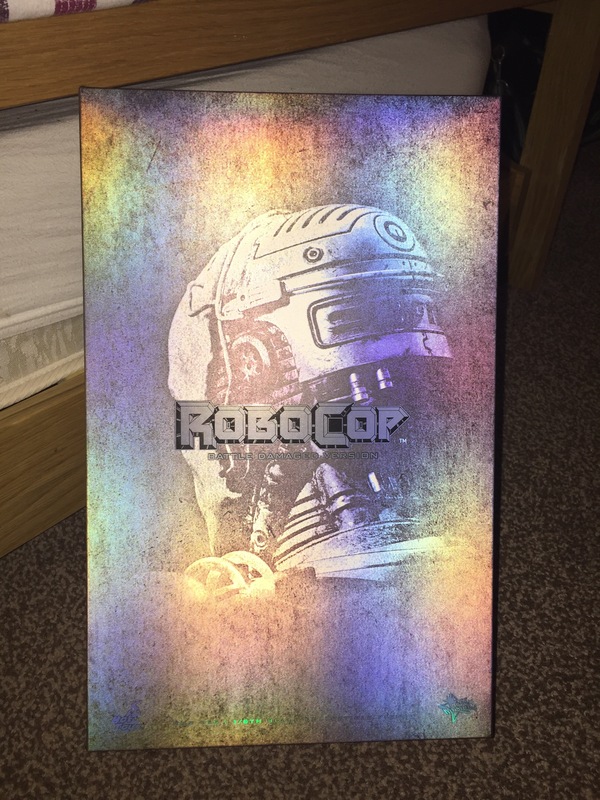 It is now available for pre order and you can do so by clicking on the following link: http://www.sideshowtoy.com/collectibles/robocop-robocop-battle-damaged-version-hot-toys-902286/. Stay tuned to reelgingermoviefan.com for more toy reviews in the future.